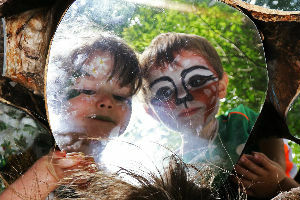 Cruinniú na nÓg, an initiative of the Department of Culture, Heritage and the Gaeltacht as part of Creative Ireland is a national day of creativity for children and young people. Ireland is the only country in the world to have a dedicated day of free creative activities taking place in local communities across the country. Cavan and Monaghan Local Authorities will work with partners Cavan Monaghan Education Training Board through the Local Arts and Education Partnership Officer to bring this initiative into a limited number of national schools in the counties in the spring/summer term. Artists/Facilitators will be engaged to provide process-based experiences in diverse arts disciplines. Schools are requested to register their interest with Narissa Cosgrove at ncosgrove@cavancoco.ie. There will be limited availability. A number of arts events for and by young people will take place throughout the county on June 15 2019 and further details to follow.